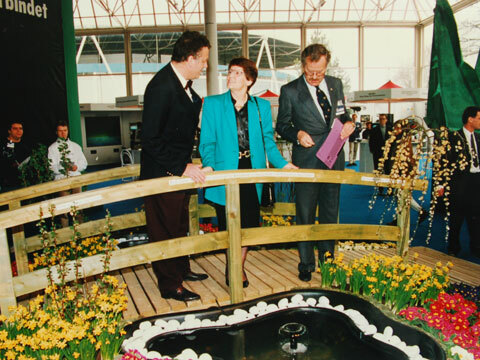 Prof. Dr. Rita Süssmuth, the President of the German Parliament, at her visit to the CHANCES 2000 event: “Technology unites” during CeBIT`93. Sepp D. Heckman, Chairman of Deutsche Messe AG, was also attending. 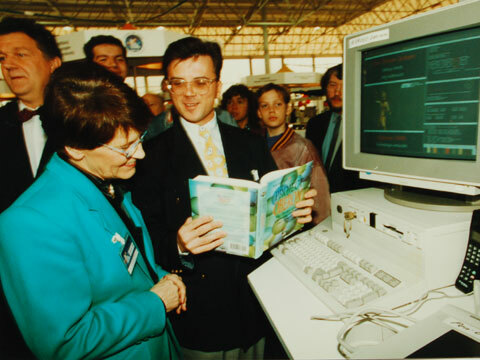 Prof. Dr. Rita Süssmuth, the President of the German Parliament, was very interested to talk to the different exhibitors at the CHANCES 2000 event: “Technology unites” during CeBIT`93. Here with a representative from ETH Zurich, Switzerland.